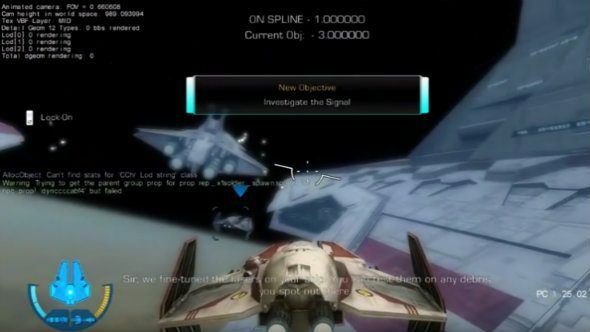 It looks rough by today’s standards, and it’s from a very early build that uses placeholder assets – some of the sound effects even tell you as such – but this unreleased footage of Star Wars Battlefront 3’s training mission will probably still make you sad that the game never saw the light of day. You’ll have to settle for our list of the best space games, for now. Taking place during the Clone Wars, the training mission puts you in the boots of the bad guys, taking you out into space for a dogfight before flying down to planet Tatooine’s surface and continuing the fight on foot. This was going to do planetary landings before they were cool, it seems. Once down there, you get to blast some Tusken Raiders with a mounted cannon, before repairing a speeder bike for a dash through the canyons while avoiding incoming fire. Finally, the mission ends as you take control of a Sith and battle a Rancor with his lightsaber.